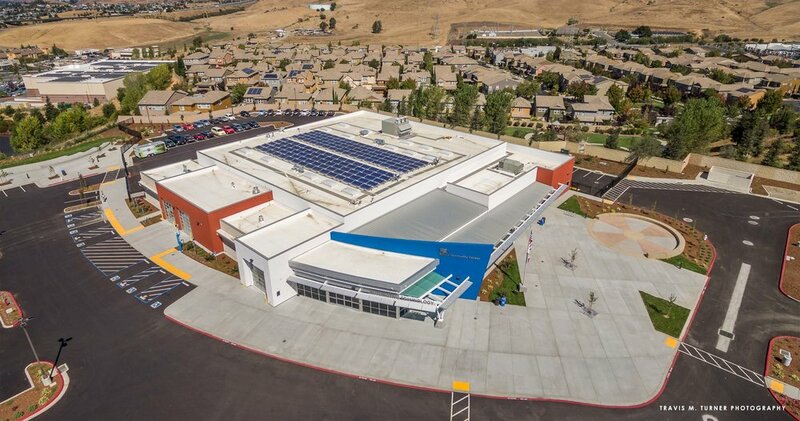 As part of the Clark & Sullivan design build team and in collaboration with JK Architecture, murakami/Nelson developed the design for a new 34,000 s.f. 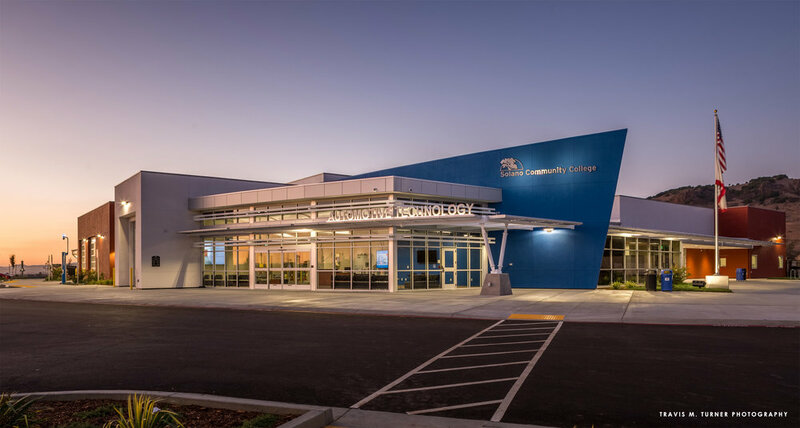 Automotive Technology Center at Solano Community College’s Vallejo Campus. Neighboring communities will now have access to a cutting-edge facility that will train students for well-paying careers in the automotive repair and service industry. 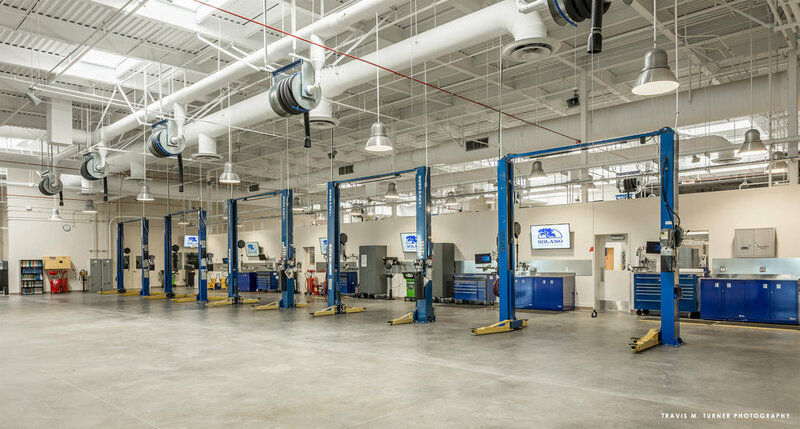 The career-technology center houses automotive instructional bays, automotive testing areas, a manufacturer's display area, offices, classrooms, student lounge and a tutoring center. 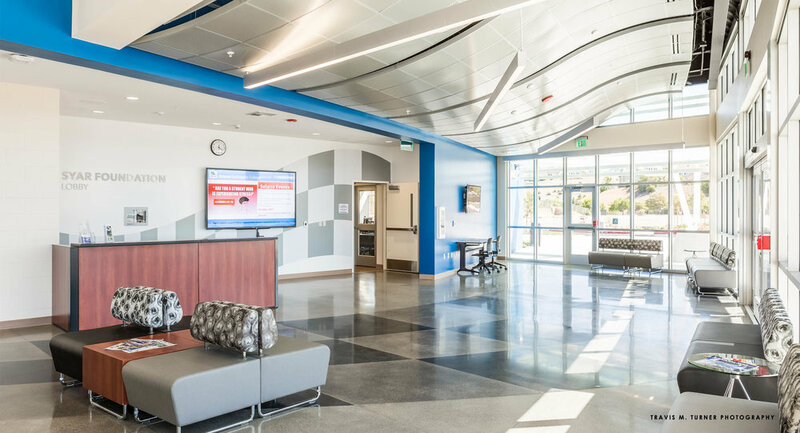 In addition to providing a state of the art learning environment, the facility has earned a LEED Gold rating.